Noir City, the annual festival of film noir at the Castro Theatre and a heavyweight of the local rep scene, picks up on Jan. 25 where last year’s edition left off—the 1950s. Beginning with Trapped and The File on Thelma Jordan (both 1950), the festival advances year-by-year, double-feature-by-double-feature, all the way through to Underworld USA and Blast of Silence (both 1961, and playing Feb. 3). While lacking the thematic unity of earlier editions centering on newspaper films or international noir, this chronological approach allows the audience to track noir’s sharp turn towards corrosive social commentary, implacable anxiety, and stylistic fragmentation and flourish. Seen in this light, Jean-Luc Godard’s Breathless (1960), which plays opposite Psycho (1960) in the festival’s penultimate program, appears less a radical break than one of a whole cluster of films doing things differently. In spite of the wholesome image of the 1950s peddled on the television programs of the time (and by political reactionaries ever since), the decade was a golden age for deeply neurotic, formally experimental Hollywood fare. Some of the darkest movies of the period were miles from noir—as far as Douglas Sirk’s heaving Technicolor and Jerry Lewis’s manic movements—but this Noir City offers an especially potent sampling of films refuting the myth of the fabulous fifties. 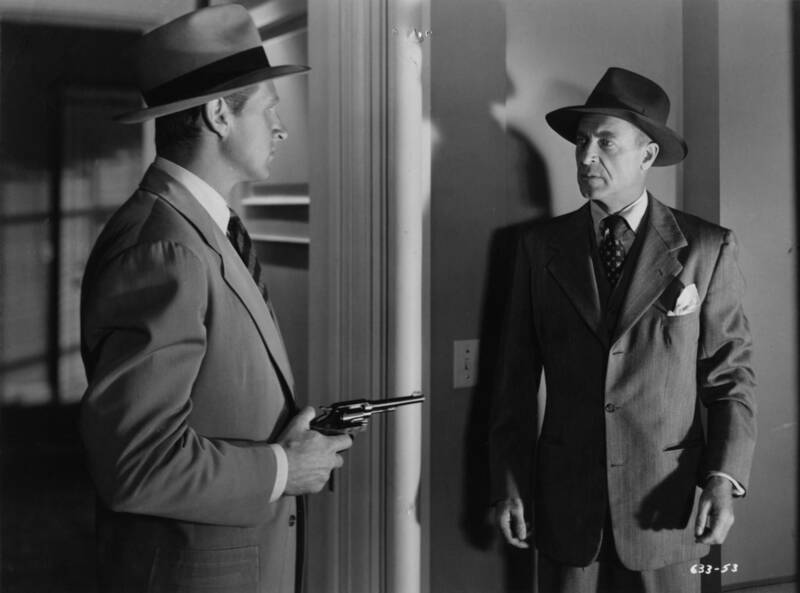 I was still learning to tell the difference between The Big Heat (1953) and The Big Combo (1955)—to say nothing of The Big Steal (1949) and The Big Knife (1955)—when I interviewed Noir City founder Eddie Muller in 2007 for a San Francisco Bay Guardian story. I remember being completely bowled over by his talk: here was a booster who really knew his stuff, with an intimate understanding of how these movies were made and what, precisely, made them good. In the 11 years since—the same interval, I realize with a start, covered in this program’s span—Noir City has spawned a cottage industry of all things noir: books (this year’s Noir City Annual is the tenth), DVD commentary tracks, satellite spinoffs (series are in the works for Seattle, Los Angeles, Austin, Boston, Chicago, Detroit and Washington D.C.), and—perhaps the truest expression of Muller’s ardor—restored 35mm film prints. 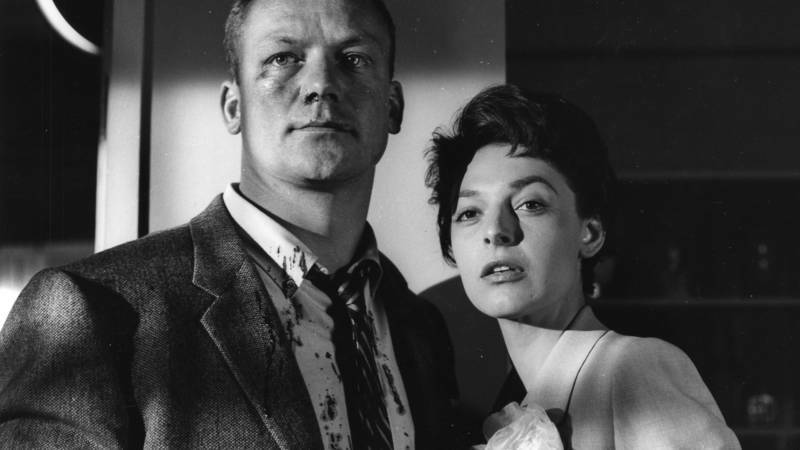 This year’s prize is Trapped, a tough B-movie given fresh life by the Film Noir Foundation in collaboration with the UCLA Film & Television Archive. It’s directed by Richard Fleischer, an “ingenious fireball” per Manny Farber and exactly the kind of no-nonsense artisan championed at Noir City. The festival’s biggest achievement, however, is its audience. Not so much the numbers, impressive as they are, as the mood of convivial connoisseurship. Thinking back to our 2007 conversation, I remember Muller becoming especially animated when talk turned to the auteur theory and his conviction that actors like John Garfield and Joan Crawford deserved that same consideration. At Noir City, he’s gotten his wish and then some. 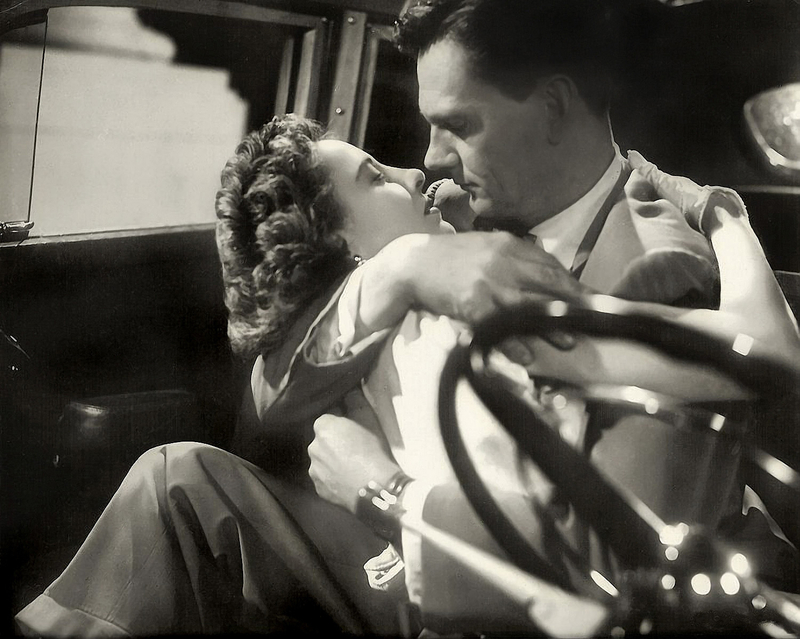 After years of absorbing film introductions loaded with sharp insights and illuminating anecdotes, the Noir City audience knows to look beyond the director credit. There is something heartening and even a little incredible about hearing a packed house at the Castro cheer for screenwriters like William Bowers, cinematographers like Stanley Cortez, and a whole galaxy of underappreciated actors like Evelyn Keyes, Charles McGraw, Gloria Grahame and Dan Duryea. This year’s festival includes more consensus classics than usual, making recommendations a mug’s game. That said, I’m especially partial to the déjà-vu-inducing amour fou of Otto Preminger’s Angel Face (1951), the telepathic editing of Jacques Tourneur’s Nightfall (1957), and Samuel Fuller’s characteristically audacious take on the police procedural in The Crimson Kimono (1958). Presumably the apocalyptic antics of Kiss Me Deadly (1955) and the border imbroglio driving Touch of Evil (1958) won’t have aged a day. Really, you can’t miss in 35mm, and those prints also speak to the Film Noir Foundation’s patient cultivation, in this case, of the sometimes recalcitrant studio archives. Noir City is undoubtedly a festive film festival, though some of its nostalgic elements—the campy promotional posters and period costuming—give me pause over the particular fantasy implied by noir fandom. At best, these extras fetishize a genre already up to its ears in it. At worst, they seem to blithely celebrate some of noir’s more questionable traits, especially with regards to sexual politics. To be sure, though, it’s a small price to pay (as is the bargain $12.50 admission for a double-feature) for such high-spirited treatment of the movie-going public at a moment when some seem to doubt that such a thing exists. The Castro marquee burns a little brighter with a line out the door, and, this being Noir City, you should probably pack an umbrella. 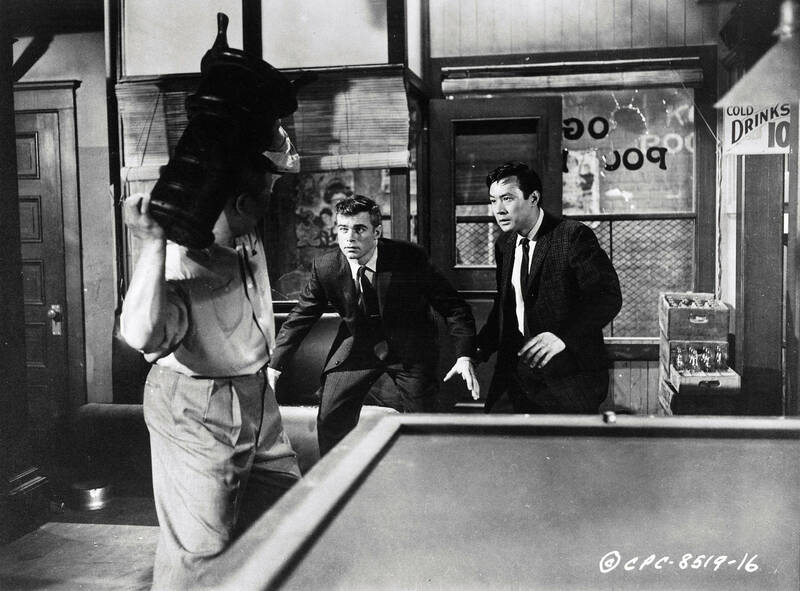 The 17th Annual San Francisco Film Noir Festival takes place Jan. 25–Feb. 3 at the Castro Theatre in San Francisco. Details here.